Zamil Steel Construction Company (ZSCC), a subsidiary of Zamil Industrial Investment Co (Zamil Industrial), was recently awarded an engineering, procurement and construction (EPC) contract worth approximately SR19.3 million ($5.2 million) by the Saudi Arabian Oil Company (Saudi Aramco) for the construction of Saudi Aramco’s new exhibition pavilion at Al Janadriyah Village on the outskirts of Riyadh in the central region of Saudi Arabia. Project requirements for the new exhibition centre are complex, including a variety of different components that must be designed, completed, and erected in accordance with stringent controls on safety and security as defined by Saudi Aramco. Consequently, attention to detail is of the utmost importance. 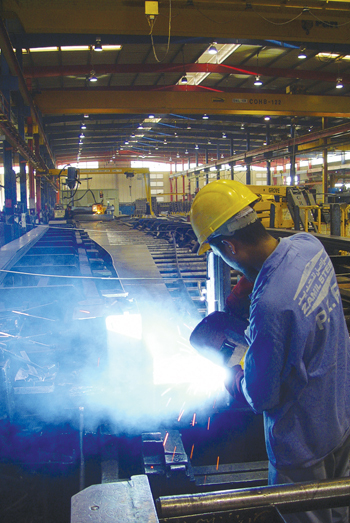 Zamil Steel Construction Company, which caters to clients that require a one-stop shop for industrial and commercial steel buildings, provides engineering, procurement and construction services for setting up new projects in different market sectors; design, fabrication and supply of steel buildings as well as related civil and concrete works; erection of steel buildings; and installation of firefighting and fire alarm systems, architectural materials, and mechanical, electrical and plumbing works on the basis of turnkey contracts through full-site management teams. Earlier, ZSCC received a turnkey project contract worth SR 20.5 million by Al Zamil Industry, Trade and Transport Company for its new water tanks factory project in Jeddah, Saudi Arabia. 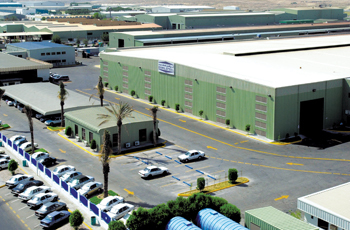 The scope of the contract includes the design, fabrication, supply and erection of more than 340 tonnes of pre-engineered steel buildings, as well as the provision of all EPC works, including civil, electrical, mechanical, and structural and finishing works for the new water tanks production facility, which is owned by Al Zamil Industry, Trade and Transport Company and located in the western region of Saudi Arabia. This project is made up of several component parts that require completion within a defined time frame and demand an exceptional degree of attention to detail in keeping with client requirements for stringent safety and security controls.